Of all of former East Carolina coach Steve Logan’s protégés, none seems more similar to the coach himself than Dan Gonzalez. Cerebral… patient… quiet… hard working… a consummate leader. Save for a logjam at quarterback, Gonzalez might have gone down as another of ECU’s prolific signal callers. Regardless, he took with him in life the foundation elements for success and has applied them adroitly in the years following football. Though Gonzalez only fully had the reigns of the ECU offense for a season, his command of Logan’s philosophies and his ability to execute the scheme as designed makes you wonder what might have been had the quarterback from Neptune, NJ, had two or three years under center. Despite spending his senior season behind a youthful and inexperienced offensive line, he piled up passing yards and proved that was as good as they come. His efforts yielded him a season in the NFL (starting with the Cowboys and culminating with a playoff game with the Dolphins and a season on allocation to NFL Europe), a couple more in the CFL (with Montreal) and an understanding of what it takes to be successful not only in football, but more so in life. 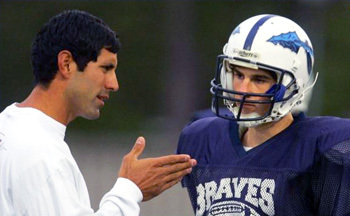 Today, a successful commercial banker by day, Gonzalez dedicates the balance of his available time imparting – much like his former coach – all the knowledge he can about playing football and being an effective quarterback to his offensive players at Indian River High School in Chesapeake, VA. Indeed, when he chose the Pirates, he was intent on becoming a teacher. Instead, he chose to pursue an education in business, knocking out his undergraduate degree in three years and polishing off his MBA over the next two. And he flexes that education every day at work, working for Monarch Bank in Chesapeake. 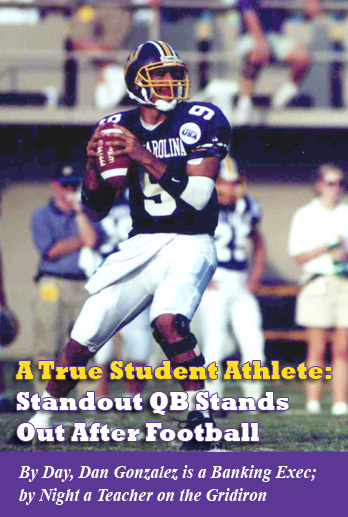 But it was the other education he received, the one he gained from being immersed in ECU’s offense under Logan, that he still uses today on the football field working with young kids, many of whom have the same dreams he had growing up on military bases around the country and while at Neptune High School in New Jersey. “Work is great and I work for a great organization and get to deal with and help a lot of people,” Gonzalez said. “But, coaching at Indian River – where I have been for five years now – is something that I absolutely love. It is a blast and I wouldn’t trade being a part of that coaching staff for anything. It makes sense that Gonzalez would gravitate back to football as it had been part of his life from his earliest venture into sports. Unlike many athletes who go on to play college and pro football, Gonzalez didn’t sort of eventually meander to a position on the football field. Starting in Pop Warner football when his father Gilberto was stationed in Augusta, GA, he was always the quarterback. Though his father didn’t play football growing up, he had a strong appreciation for organized athletics and was the biggest influence in the Gonzalez boys’ sports lives, which made it easier for Gonzalez to pour himself into the game. His father and mother, Irma, were also very much academics-first in their encouragement for their two boys. So, Gonzalez started early on honing the two biggest requirements for becoming a good quarterback: the ability to learn and the athleticism to execute what you have learned. Gonzalez' skills, apparent early on in his development, were leveraged by a large does of fierce competitiveness, firming up a solid foundation pretty quickly. By the time his family moved to New Jersey, Gonzalez had gotten to be pretty good at his position and was validated as such when, as a sophomore, he took the helm of the varsity offense at Neptune High School. “Neptune has always had a really good football tradition,” he said. “I really didn’t know what to expect going into high school. Growing up, one thing you learn quickly about playing quarterback is that you have to be able to throw the football and you have to be smart, and I kind of felt like I had those two things going for me. No, that designation fell to a running back one year Gonzalez’s junior. In what turned out to be a stroke of luck for East Carolina and a rare opportunity for Gonzalez, his backfield mate at Neptune, Scott Harley, ended up being his backfield mate throughout nearly his entire football career. As good leaders do, Gonzalez quickly points out that it is others that deserve the credit for his team's and even partly his own successes as part of the team. Ultimately, it was Gonzalez who opened up ECU’s channel to signing Harley, who at the time was one of those players that in the past would not have bothered to return a call from ECU. But, with a friend in Gonzalez, the Pirates got access to Harley and his visit to Greenville sealed the deal. Though Harley was a bonafide blue chipper at Neptune and there were games when the team didn’t attempt a pass at all, Gonzalez was no slouch. “There were occasions when we needed to win throwing the ball and I was able to do that,” he said. He led Neptune to playoff appearances as a sophomore and senior and was receiving good attention from reputable football programs. “My senior year, there were a lot of schools on the East Coast that were recruiting me, some Division I and some Division 1-AA schools like William & Mary,” he said. “Maryland, Rutgers, East Carolina, Boston University… schools like that were expressing interest. Still, he was well aware of East Carolina and was curious. ECU followed up on that interest later, sending a coach to Neptune for a visit. Rutgers was interested in Gonzalez, too, and had him pegged as their No. 2 desired quarterback. Academically, ECU made equal sense to Gonzalez. “At the time I was thinking about going into education so it seemed like a good fit all the way around,” he said. “So that is how it happened. I accepted the scholarship offer on my visit and a week later Rutgers came crawling back and said, ‘No… we really want you to come to school here.’ It was too late and I never looked back. By the time Coach Logan arrived at his house, he was already committed to the Pirates and Logan’s charm and approach to recruiting only made things that much more comfortable for the Gonzalez family. One of the very things that endeared Gonzalez to his new coach also somewhat sealed his fate at ECU and shaped his understanding of what a coach should be. “East Carolina is one of the best decisions I ever made,” he said. “When you are in high school having to choose where you are going to go, it is hard to make that decision because you really don’t know these coaches until a couple of years have gone by, but I felt very comfortable with Coach Logan. Playing quarterback for Logan means he is also your position coach and the coach you spend most of your time with. That kind of relationship can also have its downside, particularly when there is another quarterback there like Marcus Crandell. Gonzalez said that Logan earned his pay in the way he mentally prepared his quarterbacks to be primed and even-keeled even when the likelihood they would play was remote. Since it took a couple of years for a quarterback to really get Logan’s offense fully, Gonzalez expected and was quite frankly relieved to have a redshirt season. He knew he could settle in and learn the offense. He almost found himself pressed into the active roster that first season in 1993. For a young quarterback with little game experience, his first start was truly a test under fire. On a snowy and icy November night in Blacksburg, VA, Gonzalez stepped into the starting role in place of the injured Crandell, and made a name for himself among the Pirate fateful. 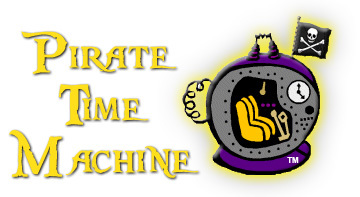 The Pirates were not supposed to be in that game, but thanks to a 74-yard hookup with Larry Shannon that cut the Hokies lead to 14-7 going into half-time, the Pirates stunned a national television audience. Though the Hokies scored two late touchdowns in the fourth quarter to win 35-14, Gonzalez played very well and served notice that the future of the position was in good hands. On that night, in his debut, Gonzalez threw for a pair of touchdowns and 268 yards against the eventual Big East Champions. Gonzalez finished out the 1996 season with three wins, culminating in a complete thrashing of rival North Carolina State (50-29) in Charlotte. Along the way, in just his second start, Gonzalez carved up Ohio University for 383 yards, etching his name in the ECU record books with currently the 4th best single-game passing total in Pirates history. And he did it again the following week against Memphis when he notched the 11th best single-game mark. More than validating to himself that he could start for the Pirates, his polishing off the 8-3 campaign in his junior year erased any doubts in anyone’s mind who the starting quarterback would be in 1997. 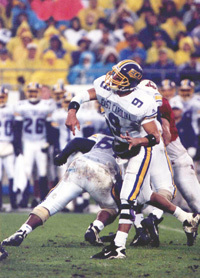 Though he would have scripted a different season in 1997 – the Pirates managed a 5-6 record behind a green offensive line and against a schedule that included games against West Virginia, Wake Forest, South Carolina, Southern Miss, and N.C. State – there was no question that Gonzalez was a quality quarterback. By the end of his senior season, he had passed for a career total 3,868 yards with a near 57% completion rate with 23 touchdowns. “I guess it did surprise me that I had the passing success I had there,” Gonzalez said. “I pretty much sat the bench till my fourth year and you really don’t know until you get there how things are going to go. I got to play with a lot of talent my junior year and there was no pressure on me that season. Chief among Gonzalez’s skills was intelligence. With the same vigor he pursued understanding Logan’s offense; he likewise attacked the academic opportunities at ECU. He had all the academic credentials needed to sail right into corporate America so Gonzalez felt less pressure to make football a career. Still, with the success he had as a senior at ECU, he wanted to give it a shot. Though his career in the NFL would last only a partial season with the Dolphins – where he got to dress for a playoff game against the Denver Broncos – and a season in Amsterdam in the NFL Europe league, where he was allocated by the Dolphins, it was an experience he relishes. In 1999, he had not given up on hopes of a return to the NFL and figured his best shot to do so would be through the Canadian Football League. Gonzalez could have continued to bounce around, but he always intended to put his degrees to work. It didn’t take long for Gonzalez to start his new life. In fact, it was an ECU alumnus and fan of his that approached him. Highly successful at his work, Gonzalez still relies on football to fully fulfill himself. He is a big Pirates football fan and is up on the program. But you won’t see him at too many Pirates games. Not because he doesn’t want to be there, but because he is so dedicated to his own team at Indian River that he has to settle for catching the Pirates on television.